Squad and Fire Department, Inc. 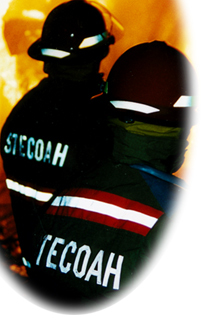 The Stecoah Township Rescue Squad and Fire Department, Inc., has been serving Stecoah and surrounding communities since 1962. 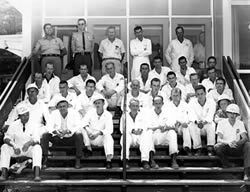 In June of 1963 the department became incorporated and began to raise money to buy equipment. They began with talent shows, bingo, wrestling events and even standing at intersections selling Cokes. The original members of Stecoah Fire and Rescue pose for a group photo. The squad serves the Stecoah Township which includes the communities of Stecoah, Sawyers Creek, Tuskeegee and Panther Creek. To be able to serve all our community, members from these pulled together to make the Stecoah Township Rescue Squad. The Stecoah School gave the use of its old School Bus Garage to house the equipment, until in 1972 a new building was built. 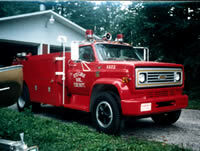 In 1976 the department started the Fire Department side. In 1987 the Squad had gotten the Fire Department rated through the state to serve our district. In 1992 the squad was one of the first in Western North Carolina to provide a combination department, which includes having Rescue, EMS and Fire programs under one department, and provide Advanced Life Support (Intermediate Level) Ambulance. The department today has in operation a rated fire department, two advanced life support ambulances and rescue department. The squad is able to serve its township better and backs up the Graham County EMS when needed. We are able to do missions that include search and rescue, missing or injured individuals, search for drowning victims, Haz-Mat, vehicle extraction, high and low angle rescue, confined space rescue, and trail rescue with the use of four-wheelers. We work close with the people in our community to assist them in need, during bad weather or just getting supplies to those in need. The squad is the site for the Buckle-Up program for Graham County. The squad has had its equipment and members used in some of the movies that were filmed in Graham County including, "The Fugitive", "Nell", "In Dreams", and "Forces of Nature". The department is known as the 600 Units. Our department is proud to help our county when in need and we enjoy working with our other county units and neighboring counties as well. To this day we still raise money to operate on. In the past we have done talent shows, gospel singings, tough man contests, mud slings, and gun rifles, taking chances on anything we can sell.